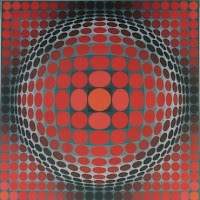 Vasarely has his eye on you! Until 31 December 2012 the Musée en Herbe of Paris shows “Vasarely vous a à l’oeil”: Seventy works of the master of Op Art in an exhibition full of games, tactile activities and paintings to reconstruct on the theme of visual illusion. 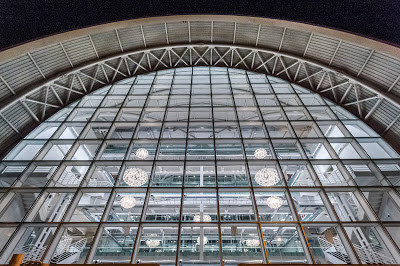 To discover the artist’s career, from his first posters to his paintings giving the illusion of movement, you can also take guided tours and attend workshops which are open to all ages. 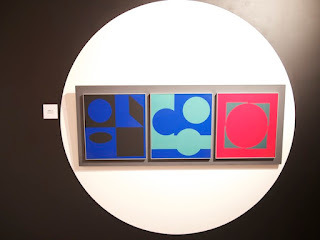 his original exhibition offers you a fun way to discover the enchanting and confusing world of Vasarely (who has not been the subject of a retrospective in France for over twenty years), for a great family experience. 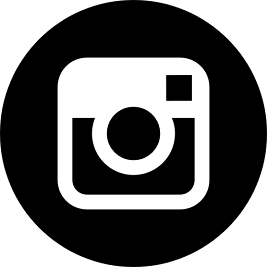 Works have been lent for the occasion by numerous museums and galleries including the Vasarely Foundation, museums in Budapest, Pecs, the Pompidou Centre, Galerie Denise René and so on. 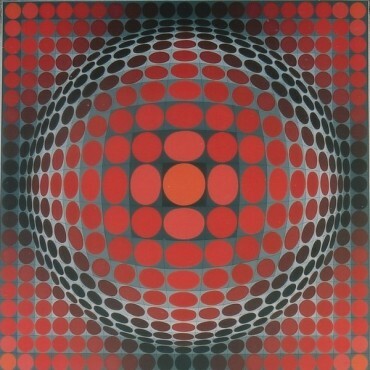 Victor Vasarely was born in Pecs (Hungary) in 1906. He died in 1997 in Paris. He studied medicine at Budapest University. He finally left medical studies for Sándor Bortnyik's Bauhaus-inspired workshop in 1927, where he was taught graphic design and typography. 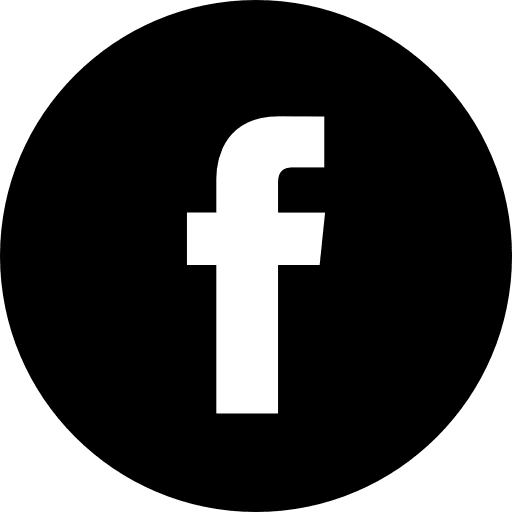 Married in 1930, with two sons soon afterwards, he took to doing accounts and designing advertising posters for a ball bearings company to support his fledgling family. 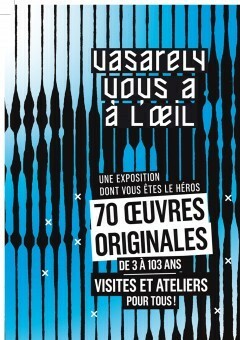 Soon after, the family left for Paris, where Vasarely found work in advertising. After world war two, he opened his atelier in Arcueil, where Erik Satie once lived, and where the RER Line B goes straight through to Denfert-Rochereau. This Hungarian French artist was a great representative of the Optical Art, or Op Art. From 1928 to 1930, he discovered the Abstract Art and the Russian Constructivists with the Bauhaus teaching in Budapest. At the era of the technique reproductivity, he aspired to give a strictly scientific and theoritical base to his art. In 1944, he came back to painting and tried to reconcile his results.